When it comes to purchasing and installing windows in your home, there are dozens of options when it comes to finding professionals to provide the supplies and get down to business on the job at hand. 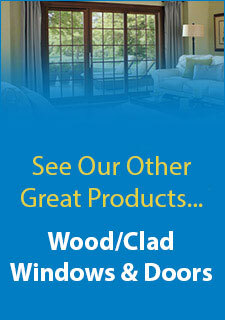 This can make finding your ideal company for window replacement in Lexington, KY hard to do. What qualities should you look for during your selection process? While each company has their own benefits and shortcomings, there are certain things which any service should offer customers in order to be considered great and professional.The best place to start looking for companies is selecting a few likely candidates and then reading reviews from previous clients on various websites. If there are a large amount of shoddy work, rude employees or overpriced materials, they may not be the company for you. After all, the customers know best. After narrowing down the field a bit in this manner, visiting a current work site and reviewing the work ethic and quality of the work at hand in person can help to clear the air of any remaining uncertainties. After this, investigate the services that these companies offer in order to ensure that they offer the products that you desire in your home. Some companies offer products that others do not, so if you have your heart set on something in particular, making sure your chosen company has the product in stock before beginning the process is imperative to the future replacement process, ensuring a quick, smooth and easy installation.Of course, you should always check prices among everything else in order to ensure that your supplies and labor fit into your planned budget. With all of this leg work, narrowing down the field to your ideal installation company fir your window replacement in Lexington, KY can be a simple process and yield great results for your home’s appearance.